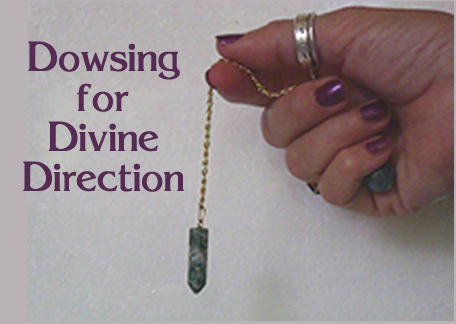 Dowsing with a pendulum has been a common tool of divination. The pendulum is a symmetrical object which is weighted and attached to a string. Holding the pendulum in your non functional hand one can ask a question and let the pendulum dowsing swing and point to the letters or words on a previously prepared board. Today people practice pendulum dowsing as a divination method to answer queries regarding family, business, work, wealth, health, travel and such. A pendulum works on intuition and connecting with your higher self and higher guidance.